Fill-In Curry Judge Can’t Stand The Heat. Hilarity Ensues. If you can read this whole story without laughing then there’s no hope for you. Note: Please take time to read this slowly. For those of you who have visited Natal, you know how typical this is. They actually have a Curry Cook-off about June/July. It takes up a major portion of a parking lot at the Royal Show in PMB. 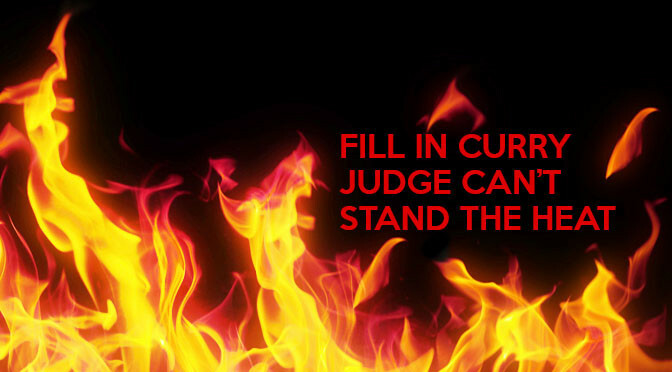 Author BenPosted on March 21, 2012 June 27, 2014 Categories HumourTags burn, competition, curry, fill in, hilarious, humour, indian, inexperienced, judge, lip remover, story1 Comment on Fill-In Curry Judge Can’t Stand The Heat. Hilarity Ensues.